We're back with one of our final two sneak peaks before the database is released on Tuesday. 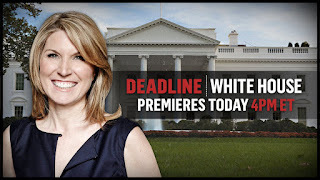 Right now we've got Deadline: White House, a relatively new program on MSNBC. Below are its ratings for the months of August and (soon-to-be) September. Check back tonight as we move away from cable news and towards sitcoms for our final sneak peak.